WineStyles Tasting Station was recently ranked in Entrepreneur Magazine’s Top New Franchises list. This list recognizes the top 100 companies that have been franchising for five years or less, based on data submitted for Entrepreneur’s Franchise 500® ranking. WineStyles Tasting Station, which began franchising in 2012, was ranked #24. “We’re honored to be nominated by Entrepreneur Magazine. By following our love for great wine and craft beer, we’re blessed to be a top franchisor while turning our passion into a successful business,” said Bryan McGinness, CEO of WineStyles Tasting Station. 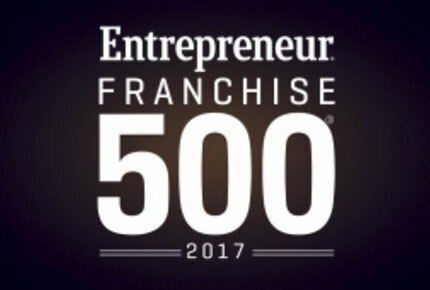 Entrepreneur’s 2017 Top New Franchises ranking was determined using the company’s Franchise 500 formula, which is a comprehensive evaluation of more than 150 data points in the areas of costs and fees, size and growth, franchisee support, brand strength, and financial strength and stability. WineStyles Tasting Station’s position on the ranking shows that it is already off to a strong start on its franchising journey. To view WineStyles Tasting Station in the full ranking, visit http://entrepreneur.com/franchises/topnew. Results can also be seen in the April issue of Entrepreneur available now on newsstands.